What do over 20,000 neighbors know about glass block windows that you don't? 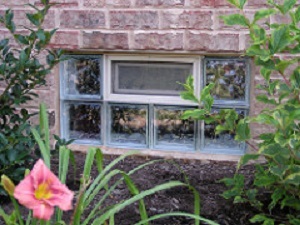 Thick, break resistant glass block windows, properly installed makes a virtually impenetrable glass block window. No more storm windows. Stark Glass Block offers the insulating efficiency of double pane glass with an average R-Factor of 1.96. Start saving money on your heating and cooling costs, now! With glass block windows there's no caulking, puttying, painting or rust. Just hose down, wipe the edges and your glass block windows will look good as new. Glass block windows combine the beauty of light with so many functional characteristics. Why have a plastic window when you can have the beauty and brilliance of real glass block windows in a light, easy to install package. 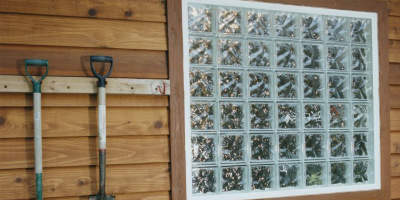 Demand Vinyl Wrap Glass Block Windows! Our sleek new Vinyl Wrap Glass Block Window profile gives you more glass and less frame. Our Vinyl Wrap Glass Block Windows will give your window a clean smooth finished look that can be used to brighten any room. Stark Glass Block will fabricate an Eazygrout Wall section to any shape or size to make the installation of your Glass Block Shower or wall. Our professional, experienced staff is on hand for design and fabrication. 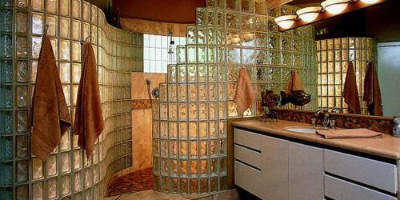 No mason or glass block experience is needed to install a Glass Block Shower, Wall, Bar or any other Glass Block project. Pre-assembled Eazygrout Glass Block Panels are secured with silicone adhesive and then fastened to the wall using the wall anchor kit. The glass block joints are finished by applying Eazygrout polymer hydraulic grout with BioBlock antimicrobial protection.